/ Garmin Fitness Tracker vs Fitbit Fitness Tracker: Which Is the Best? 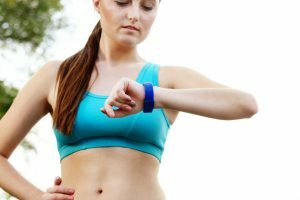 Fitness trackers are some of the latest innovations in the world of wearable technology. 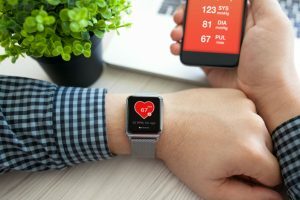 They are one of the early modern wearable technologies that quickly became commonplace, which has expanded later on to become smartwatches. The fitness tracker market is dominated by two names; Garmin and Fitbit, so we’ll compare Garmin fitness tracker vs Fitbit to see which one takes the cake. 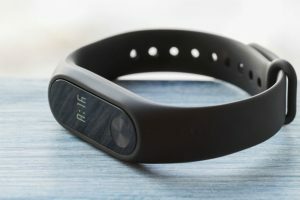 Fitbit has established itself as a leader as it came in earlier into the market, but Garmin is slowly taking a sizable chunk of the market with its unique line. Let’s see how these two fares against one another. 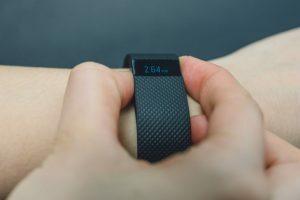 The Fitbit line of fitness trackers are considered to be the trendy types and generally considered to be the fashionable tracker between the two. Their trackers are mostly the ones seen as the casual workout type. The sleek design that they come out with tends to captivate the fashion-conscious crowd. Their trackers showcase activity trackers, heart rate monitors, and sleep trackers. Some of the devices come with waterproofing, which provides an avenue for a wider variety of activities wherein you can use the tracker. On the other hand, the Garmin range of trackers is considered the functional types, appealing more to the athletic type of users, and those who take their fitness activities to another level. A Garmin tracker gives off a vibe that the user means business when it comes to fitness. Both Garmin and Fitbit would have the step counter, calorie counter, and the sleep monitor. 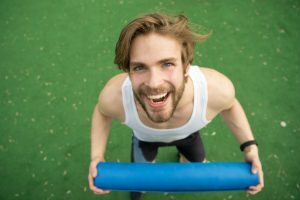 These three are the basic features found in all of their fitness trackers. Anything beyond these is additional features which are the selling points of their trackers. 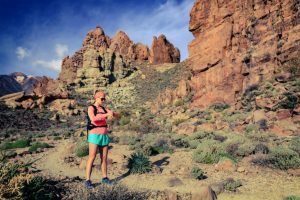 Those with GPS would show data on distance, pacing, and elevation. Some models that don’t have built-in GPS can utilize the phone’s GPS. Both the Garmin fitness trackers and Fitbit trackers monitor sleep activity and deliver data points on the different stages of sleep—all of which you can get from the app. Some people report that they are not as accurate as one could hope for in sleep monitors. There is definitely a lot of room for improvement. Currently, the Fitbit sleep tracker includes data on REM sleep, which Garmin doesn’t. Nonetheless, both do have coverage of data for the wearer’s stages of sleep. Both Fitbit and Garmin have devices that go from budget, mid-range, and high-end. In a Garmin fitness tracker vs Fitbit pricing competition, the Garmin lineup is priced a little higher compared to the Fitbit lineup within the three categories. The most basic among the Garmin devices are more expensive than the cheapest among the Fitbit lineup. Fitbit has good entry-level fitness trackers which have some of the most basic features like a heart rate monitor and step counter. They also have waterproof varieties that can be used for swimming. Additionally, they all come in stylish designs that buyers have come to expect out of Fitbit. Garmin’s budget fitness trackers are priced a little higher but pack more features. They are professional looking and have almost become a signature when it comes to Garmin’s line of fitness trackers. Another characteristic this product line is known for is that the masculine appearance matches its functionality. The gadget itself will play a significant role when you finally decide which one you’d settle for as a tracker. That being said, it is wise to check out the app beforehand since it is where you’d be getting feedback on how well you are doing. The app also gives you access to the features that will maximize your use of your fitness tracker. Among the two, the interface of the Fitbit tracker is gentler to the eyes. The feel of the app complements the sleek, slim, and fashionable design of the gadgets. The interface is simple and easy to navigate, and you may also use third-party apps that are compatible with Fitbit devices. On the other hand, the Garmin app gives a detailed report on your activity after the quick overview. It is compatible with other apps which allows you to send over data for you to utilize tools that can help you improve your workout. The phone app used by Garmin seems to have the edge over Fitbit. The Fitbit, though, is not far behind and is poised to overtake Garmin, with its latest offerings. Garmin gains an advantage when it comes to the sports tracking feature offered. Fitbit has limited options when it comes to sports modes. 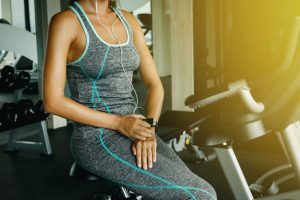 Some of the most basic ones include running and cycling, and they also have options for swimming or devices that can be immersed in water. Both of these has the most basic functions any regular fitness tracker would have for running and cycling activities. 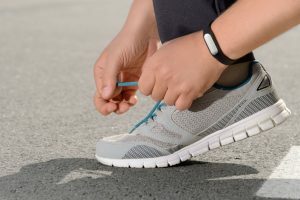 Breaking it down, if you are new to the world of fitness trackers, and would like an excellent entry-level tracker, then you can go with the Fitbit line, which is considered fashionable as well. On pricing points, the Garmin devices are selling at a price range that is higher compared to Fitbit but makes up for it with the number of features and functionalities that their line up has to offer. They also have a wider range of options to choose from. The mobile application of the Fitbit appears trendier compared to Garmin which looks to have a more practical and professional interface. This approach that is taken by Garmin appeals well to those who take their exercises seriously. The professional features that Garmin have give it the edge when it comes to fitness professionals and athletes. 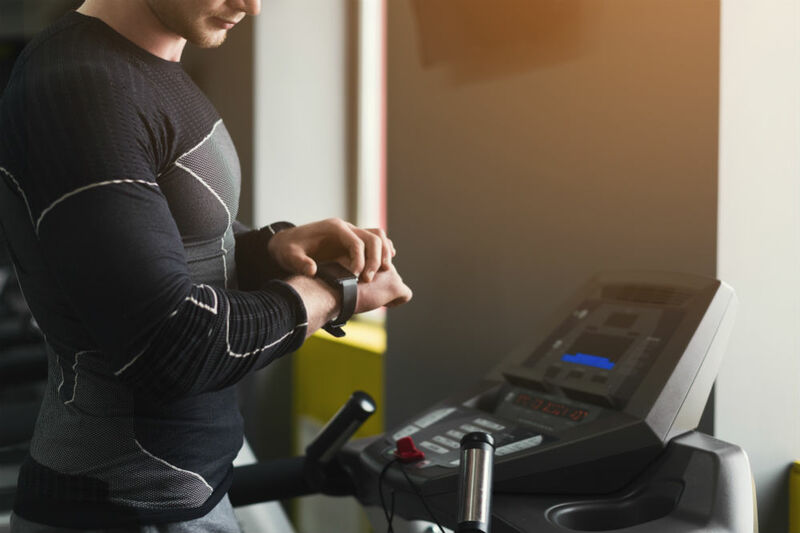 Between the two, Garmin takes the fitness tag more seriously by developing the gadgets as devices to use when you are involved in fitness activities and helping you develop your exercises. The Fitbit is more appealing to casual users. It is not faltered by following a sleek and slim design, which has garnered quite a following among many users. 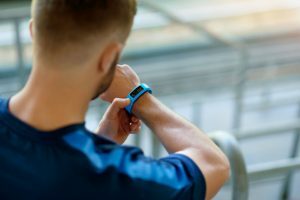 Overall, Fitbit remains a clear winner among casual users, and the fashion conscious, while Garmin takes the lead when it comes to fitness professionals and athletes. 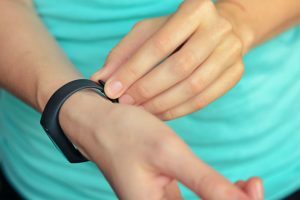 Are Fitness Trackers Safe for the Body and Mind?